Traveling through Portland with a group? Let the champion in group transportation help you travel with ease to whatever your occasion is. 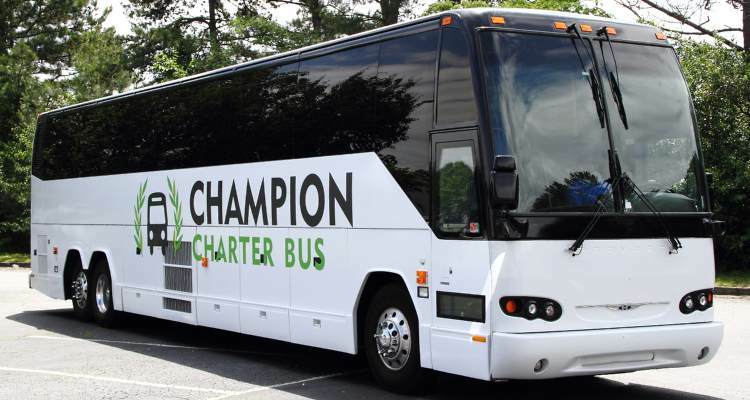 Champion Charter Bus is Portland’s top-rated charter bus and minibus rental company, providing streamlined services for corporate events, sports teams, weddings, private trips, and more. We’re available 24/7 to help you plan a successful trip. Learn more about how we can help you by calling us at 503-419-6238. Groups need efficient transportation, and Champion Charter Bus aims to make it easier than ever. With access to the largest network of bus rentals in the Western U.S, we can accommodate any group for any kind of trip. From smaller​ minibuses to full-sized charter buses, we can find your perfect bus rental while you focus on planning your trip. We’re experts at helping you organize the right transportation particular to your trip, whether it’s for a wedding, corporate meeting, sports team, school field trip, personal vacation, or more. 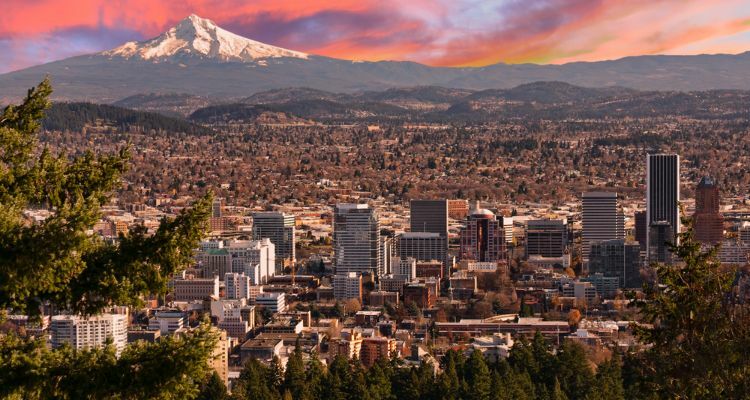 Don’t let transportation hold you back from your trip-- Portland awaits you! Discovering the wonders of Portland is always better when you’re with a group. Rent a minibus and plan your own sightseeing tour of the city’s top attractions. Avoid being grouped with strangers and being forced to follow a predetermined schedule. With Champion Charter Bus, you’re given complete control over your trip. Plan your own itinerary with destinations you want to see, like the Portland Japanese Garden, Oregon Zoo, or Pittock Mansion. You’ll be paired with a professional driver who will work on your time for a completely personalized experience. Plan the ultimate field trip with a safe, clean, and up-to-date charter bus rental. Champion Charter Bus only works with licensed drivers that are certified to get behind the wheel, and we thoroughly inspect each bus rental before being paired with you. While you ride to an educational place like Zenger Farm or the Kidd’s Toy Museum, teachers and chaperones can sit back and relax knowing their students are in safe hands. Keep students entertained with flat-screen TVs, WiFi, and DVD players, and cut the amount of rest stops with on-board restrooms and comfortable, reclining seating. With us, you and your students will have an effortless school field trip you’ll never forget. A coach rental is a foolproof way to ensure every attendee is accounted for at your next large-scale event, like corporate meetings, weddings, family reunions, and more. When you choose to charter a bus in Portland, you and your attendees can fully focus on the event while your professional driver handles the navigation, traffic, and parking. Ensure no one gets lost on the way and everyone arrives on time with a dedicated ride. Groups can ride together and stay organized on their way to Opal 28, and if you have several different venues, a minibus rental can shuttle guests to and from each destination with ease. Request an all-black interior for a professional feel or an all-white interior to set the mood for your magical wedding. With WiFi, power outlets, a radio system, and any other special amenities you desire, passengers can have a memorable ride that they can’t get anywhere else. Sports teams and die-hard fans can focus fully on rallying up team spirit when they don’t have to worry about transportation. Whether you’re cheering on the Portland Trail Blazers or heading to your next game, get there with a reliable and spacious motorcoach rental. While your professional driver navigates to your event, your team can prepare for another victory. Depending on the model, your bus will come with luggage bays and overhead bins to easily store your luggage, sporting equipment, and any other carry-ons so you don’t have to leave anything behind. Champion Charter Bus can help your group explore new cities and experiences all across the west. From San Diego and Los Angeles all the way to Phoenix and Las Vegas, our experience reservation specialists can help you plan the trip of a lifetime. Explore the highlights of San Francisco, discover LA’s movie scene, or build your own custom itinerary-- whatever your trip entails, we’ll be here to make it happen. Before you begin organizing your next trip’s group transportation, call Champion Charter Bus! We’ll handle the entire process from beginning to end, giving you more time to plan other parts of your trip. Our team is available 24/7 to help you explore the best of the West when you call us at 503-419-6238.